Last six month, I had the incredible opportunity to spend a few weeks at workshops on the Design Thinking. It was the best experience for professional development that I have ever had. We enjoyed deeply with the workshops and had incredible knowledge for innovation, entrepreneurship, collaboration, and learning [ CITATION Sca16 \l 1033 ]. I really appreciated the activities held in the workshop; the entire workshop was having an active approach. There are many impacts on me from those workshops. They are really meaningful and deep in the field of education. Design thinking was really so beneficial to bring ideas outside from your mind, and learning to think[ CITATION Kim11 \l 1033 ]. I learnt about reflection, innovation, and entrepreneurship. We have a group for discussing the design-thinking process. All the group members were analyses the topic according to their perspective. Same work is done by other groups and compared the results. A result was really outstanding and fruitful for learning. We learned about the innovation process, and it explains about basic levels of innovation. I understood from all these, that all problems have a solution. It is not depend on the problem either it was small or big. I need to critically work on the solving of the problem[ CITATION Bro10 \l 1033 ]. In starting of a workshop, I learnt about framing a team, and we are separated in different groups. In the group, we learned about different theories for design thinking. There are full information provided to manage workshops activities and they provide coordinator details. If someone facing any generic issues, he or she can use those details[ CITATION Dor11 \l 1033 ]. I learnt about entrepreneurship, which is a way to turn your idea into a business. Entrepreneur is having an ability to assemble and integrate different resources to transform an idea into a business[ CITATION Sha131 \l 1033 ]. Resources may be – persons, money, strategy, and business model[ CITATION Dru14 \l 1033 ]. We learned about innovation and innovation process model. It has four stages, as search, select, implement, and capture. It was used for converting an idea in a practice set and if it fails, then again restarts that process from search[ CITATION Ash07 \l 1033 ]. I learnt about different aspects of innovation. Innovation has four aspects, as incremental, platform, architecture, and discontinuous innovation[ CITATION Lun10 \l 1033 ]. We also learned about different dimensions of the innovation space. Innovations are beneficial for social as well as commercial changes. I learnt about a relationship between entrepreneurship and innovation from that workshop. In the end of the workshop-1, I learnt about reflection, which I used to writing my blogs[ CITATION Bro10 \l 1033 ]. In workshop-2, we learned about design thinking processes and tools. In addition, I learnt basic difference between business and design. A feedback was taken from each group member for his or her blog and design thinking approach. There are many definitions of design thinking, but I learnt it is a skill set of a person, which are developed by itself. Design is a subjective experience, but business is rationality as fixed and quantifiable. In case of design, action and doing process is held on a particular idea. However, in case of business, according to given idea analyzing and planning process are followed. Design thinking is providing approaches to decision making[ CITATION Sha131 \l 1033 ]. It is not like drawing, painting, fashion, and sculpting. There are many ways to learn about design thinking but reflection is the best way to understand design thinking[ CITATION Lie14 \l 1033 ]. I learnt that reflection upon own behavior, values, and actions are helpful to create new ideas in your mind and it will be helpful in business purposes. Design thinking is also helpful to push over selves out of the comfort zone, which is business-minded[ CITATION Cal89 \l 1033 ]. In that workshop, different activities are held on the reflection. We also enjoyed those activities. Which are totally related to design thinking process, such as poster making activity? We learned about divergent and convergent thinking, which is helpful for crate choices and make choices according to situations. I learnt about differences between blog and reflective report from that workshop. According to that, blogs are reflection of your leaning process and reflective report is overall experience of particular work. Blogs are created after each workshop and reflective report is created after the complete module. In reflective report, reflect on your learning in terms of personal and knowledge development. Exactly overall experience reflects in reflective report. Blogs are so helpful for creating reflective repots[ CITATION deA12 \l 1033 ]. In 4th week, we learned about different problem of people with visual understanding. I discussed problems of different group members, when we were at beach area. We all discussed problems of each other and we make some points related to the particular problem. I also enjoyed another activity that is “what the master program look like in 2050”. We had a task on persona also with some international students of undergraduate program at Sydney metro campus. All these activities motivate me for thinking and generate new ideas to solve many problems at commercial level or social level. These types of activities enhance my thinking power and force me to solve social issues. I thought after that workshop that, design thinking must followed by organizations to change thinking in different way that a consumer has on orthodox in some cases. Learning make alternation, which means it, provides easy paths using design tools[ CITATION Row91 \l 1033 ]. I learnt about strategy making from our leanings and reflection. I felled, customers facing bad experiences, when they buy a product or service form any vendor. I should develop some different way to handle these issues in high quality results. I was agreed from design thinking tools working, as they helpful to focus on the solution of a problem[ CITATION Mar09 \l 1033 ]. We learned from several activities about brain storming and planning at individual level as well as group work. I also learnt that never distract, when you have a proper task and you have to complete it in a given time from an activity in which we were asked about what we like just draw on the given paper with lot of circles. I was also enjoyed the next activity in which they gave several pictures with a problem. We were assigned in-group to pick any problem and found out a reliable solution of that problem. We take a pen drive and we give a solution that pen drive can insert in the dual mode so the inserting problem is solved, which are faced by many people. We also learned about journey mapping with the help of an activity. I was convinced with the better scope of business chain analysis and mind making to avoid comfort zone for business activities. I learnt it from the analysis for ‘Woolworths’. We all are divided into there groups and each group work together to classify firm marketing, technology development, infrastructure, operation, sales and services and we were faced many difficulties in this segmentation of activities. I learnt that companies could put efforts in some areas to increase their profit at any cost to the optimal level after the completion of activity. There are many ways to the enhancement of customer satisfaction and increase profit of a company, such as loyalty card, outbound logistic management, and self-checkout. We learned about value chain analysis, creative thinking approach, and generic value techniques to enhance profit of companies as well as customer satisfaction. Ethics and law have a small difference that is moral laws are ethics. It means do not do unethical work. Morals are so necessary for a human being to work with any company or their own business. Everyone should have ethics to behave and work at any place. Be ethical make a person genuine and it will affect your future works[ CITATION Rey18 \l 1033 ]. I learnt about issues in ethics, and how they are solved. Ethics are so much important in the personal, professional, and social level. In case of business, ethics are so important to perform several activities. During interviews, it is so crucial to be ethical to data collection[ CITATION Dun06 \l 1033 ]. I was thinking that ethics means morally wrong and right. Ethics reduce or minimize error in any organization. Ethics is not only how you behave in a condition but it is also matter on your action. According to me, issues of ethics arouses because of decision-making, culture diversity, and fundamentals. After reading about that, I will always give importance to morals and ethics. I have already improved my personal learning, still after prototype developing technique. It wills more advancement in my personal learning. I should always follow the prototypes for a process. I also create the prototypes to find out a solution to a problem using my imaginative ideas and all techniques. Every problem has a solution but if we try hard then we can find a better solution for that particular problem. Prototypes are nothing just some set of rules for safety and avoid problems. I learnt about the rapid prototype economic modelling and using that model, I transform my concepts into the feasible model before practical, which is using lots of time and money. I learnt sketching, wireframing, storyboarding, and making the physical prototype in the rapid prototype techniques. We learned many things from that activity such as collecting different ideas from many peoples for a single problem. We used rapid prototype for solving safety problems mainly at nighttime. We also thought that, develop a device, which can connect police officer to inform and help. There are lot of common selection for that device design, such as watch, hand bands, and something hanging in neck. Finally, we all had gone for a key ring with two buttons for different functions for sending information to help. We also build up a prototype with the help of different things, such as glue, tape, and color papers. I proud enough on me because of that demo model. I thought that that type of prototype models helpful to enhance thinking. Those types of models are really save money, time, and energy. We learned many things, which are required for understating the product launching benefits and ideas. It was learning launch and real launch by which we learned many things. What was happened when a product launched. Therefore, it was a very nice learning process. That module is totally based on the learning from a process of launch a product. It was a practical session for us, which gave a brief idea about planning, executing and reviewing about the launching process. I learnt many differences between learning launch and business as usual. There are many things for planning of learning launch, such as product, service, and assumption with related to launching. I learnt about boundaries are required for launching a product, such as time, goals, and location. It was also depending on the customers feedback and satisfaction with the product. I learnt many things from learning launch, as always consider ethics, always prepared to change your mind, observations and immediate action on it on behalf of feedback cycle, and always allow behavioral interpretation. I learnt idea sharing in learning launch module activity in which we made team with other group members and interpret their ideas and at the end, I explained my idea to all. I learnt that refining is necessary to refine idea according to feedbacks and spend more time to thinking on that idea. Real launch is a process after learning launch in which design team must take a decision on the bases on learning launch. It is depending on the concepts, which directly affects the progress of innovation[ CITATION Nel13 \l 1033 ]. According to that launching of product is decided, as immediate or delayed launch. I learnt that, real launching requires so careful planning. Some point are really very helpful for real launch, which I learnt from that activity are create a team with much potential, find places for selling, better suppliers, develop an idea to manage according to market. We learned about blogging and reflection as well as how it is necessary for a person. First thing is that it was necessary for at least weekly basis. In every blog, we have to describe and reflect upon module activities and learning. I also learnt about design it module on the Moodle software and how create and manage profiles and create and upload blogs and reports, which are also shareable to other group members. We learned about marking rubric for grades according to performance. Reflective reports are critical self-analysis and overall learning reflection in terms of knowledge and persona development[ CITATION Ort08 \l 1033 ]. It is an action plan to be used for further development requirements. Action plans are some key points for next six-month events and activities for overall development. It is designed in a table format mostly. Action plans shows weakness, which are identified by you. I also learnt about self and peer assessment, which is the last part of module in which online questionnaire was there for your evaluation, as well as group members. Reflective reports are beneficial for developing so many things at personal level, such as employability, knowledge, social skills, self-awareness, confidence, empathy, and self-esteem[ CITATION Ort08 \l 1033 ]. We learned about entrepreneurship, design thinking, innovation, and business management from all modules. Reflection is so helpful for development in the terms of knowledge and experiencing entrepreneurial[ CITATION Kur05 \l 1033 ]. Exactly, it is overall experience not only individual experience. Blogs are so helpful for creating a reflective report, so always blogging on your current experiences on the weekly basis[ CITATION Kir15 \l 1033 ]. I learnt that reflective report is a reflection in the form of formal and organized written version. It was a best way to writing your personal thoughts, which are used for many purposes, such as blogging, career development, personal development, and academic works. There was a best example from the movie ‘Harry potter’ about reflection, in which professor Dumbledore have their blog. This was used for helping in solving problems. I learnt that reflective thinking have three parts by which we can make a report for future use. First is, think about to the activities or events held in the back. Second step is analyses the activities or events from different angles. Use different theories and framework for analyses activities. Third step is thinking about activities or events uses in future development. I learnt about differences between blog and reflective report, which is helpful for me to develop myself for my career development. Blogs are formative and continue reflect on any event or activity. Blogs are developed during the term and reflective report written towards the end of the modules. The experiences that I had as being a group member are so beautiful and useful for critical thinking. I have an action plan for next six month, which is a projects based on the value chain analysis for a supply chain company. I learnt many things from that workshop and I want to use all these experience for my next project. 2. Asheim, B. (2007). Differentiated knowledge bases and varieties of regional innovation systems. Innovation, 20(3), 223-241. 3. Brown, T., & Wyatt, J. (2010). Design thinking for social innovation. Development Outreach, 12(1), 29-43. 4. Calderhead, J. (1989). Reflective teaching and teacher education. Teaching and teacher education, 5(1), 43-51. 5. de Andrés Martínez, C. (2012). Developing metacognition at a distance: sharing students’ learning strategies on a reflective blog. Computer Assisted Language Learning, 25(2), 199-212. 6. Dorst, K. (2011). The core of ‘design thinking’and its application. Design studies, 32(6), 521-532. 7. Drucker, P. (2014). Innovation and entrepreneurship (1 ed.). London: Routledge. 8. Dunne, D., & Martin, R. (2006). Design thinking and how it will change management education: An interview and discussion. Academy of Management Learning & Education, 5(4), 512-523. 9. Kimbell, L. (2011). 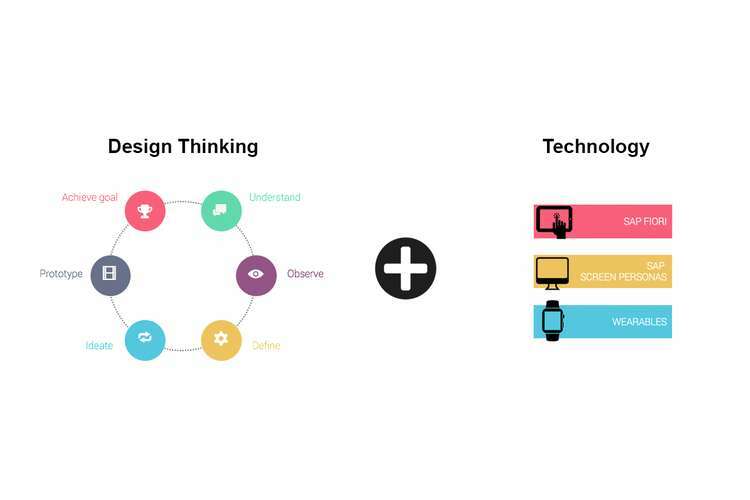 Rethinking design thinking: Part I. Design and Culture, 3(3), 285-306. 10. Kirzner, I. M. (2015). Competition and entrepreneurship (Vol. 1). Chicago: University of Chicago press. 11. Kuratko, D. F. (2005). The emergence of entrepreneurship education: Development, trends, and challenges. Entrepreneurship theory and practice, 29(5), 577-597. 12. Liedtka, J., Ogilvie, T., & Brozenske, R. (2014). The designing for growth field book: A step-by-step project guide (1 ed.). New York: Columbia University Press,. 13. Lundvall, B. A. (2010). National systems of innovation: Toward a theory of innovation and interactive learning (Vol. 2). London: Anthem press. 14. Martin, R. L. (2009). The design of business: Why design thinking is the next competitive advantage. (1 ed.). Boston: Harvard Business Press. 15. Nelson, R. R. (2013). National Innovation Systems: It is. In Regional Innovation And Global, 1(1), 19-34. 16. Ortlipp, M. (2008). Keeping and using reflective journals in the qualitative research process. The qualitative report, 13(4), 695-705. 17. Rowe, P. G. (1991). Design thinking (7 ed.). Cambridge: MIT press. 18. Scarborough, N. M. (2016). Essentials of entrepreneurship and small business management (Vol. 1). London: Pearson. 19. Shamah, R. (2013). Measuring and building lean thinking for value creation in supply chains. International Business Journal of Lean, 4(1), 17-35.